Hairy or Scary? It’s October in Vegas! 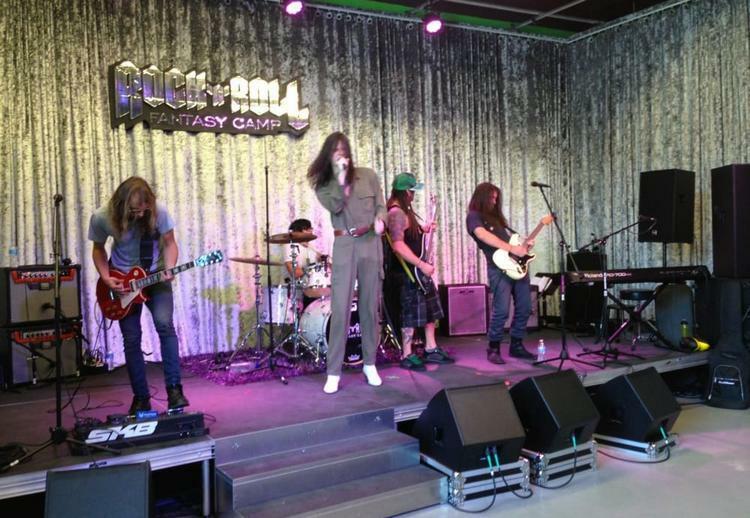 The Rock ‘n’ Roll Fantasy Camp will be held October 4th through the 7th at the House of Blues in Mandalay Bay. If you are seriously into Rock, always dreamed of performing with a famous legend and wanted to record in a studio, the Recording Package for $2,500 should be on the top of your list. You will spend 8 hours recording a song with a band and learning the inner workings of a studio with a producer. This package must be bought with the Headline Package for the price of $5,499. Can you imagine jamming with Tommy Aldridge (Ozzy Osbourne & Whitesnake), Rudy Sarzo (Quiet Riot), Tommy Thayer (KISS), Paul Stanley (KISS), and John 5 (Rob Zombie & Marilyn Manson) and rehearsing and performing at the House of Blues? They will set you up with a band for 4 days, and you can attend an opening day night party, various jam rooms and have lunches, open bars and question and answer sessions with the rock stars. You will also attend your choice of classes to perfect your vocal, songwriting and instrumental performance. There are more packages available starting at $799 for the Groupie Package, which includes meet and greets, lunches, refreshments, opening night party and concert, and master classes presented by the rock stars. And they have a beginner’s package, Rockstar 101, for $5,499. This package includes most of the same access as the Headline Package, except you are not placed with a camper band, nor will you be jamming and rehearsing daily with them and your counselor. From October 11th through 14th the Las Vegas Bike Fest will be held at the Downtown Las Vegas Events Center (200 S. Third St.) with registration opening at 8 a.m. on Thursday at the Golden Nugget. Besides the rallies from 11 a.m. until 10 p.m., Thursday through Saturday and 10 a.m. until 5 p.m. on Sunday, there will be bike shows, slot tournaments, biker bingo, big money poker runs and a walk, facial hair contests, shopping, and motorcycle giveaways. All day entertainment is promised, and nightly bands feature Foghat on Saturday night and Puddle of Mudd on Friday night. The events will mostly take place at Rally Central at the Events Center, with the Golden Nugget providing more onsite activities and Mandalay Bay, on the Strip, providing an AIM Expo on Saturday and Sunday. 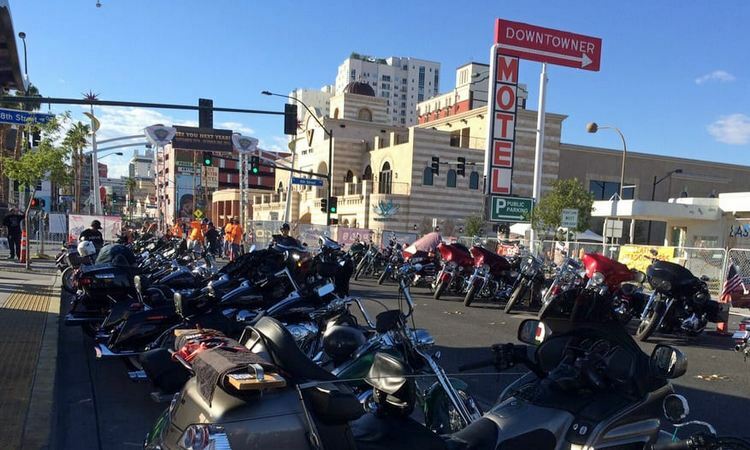 Two of the runs will begin at the Golden Nugget and end at Red Rock Harley-Davidson and Atomic Liquor. The Pawn Stars Poker Run begins at Gold and Silver Pawn and ends in the Pawn Plaza, right next door. Their VIP pass was sold out by September. They have an Early Bird $70 Ultimate Pass and a $45 Early Bird Party Pass for all 4 days, and that gets you a T-Shirt, Rally Pin, giveaway entries, and drinks at the parties each night. The $70 Ultimate Pass also allows you into the poker runs, walks and custom bike shows. The Early Bird $25 Pass gets you admitted to Rally Central, entertainment, the Tattoo Convention, and $5 off admission to Mandalay Bay’s AIM Expo. On Saturday, October 13th two events are being held at the Silverton Hotel & Casino on Blue Diamond at I-15. The Great Garage & Antique Sale will be held from 8 a.m. until 3 p.m., for free, in their parking lot. They have an early bird admission at 6:30 a.m. for a $5.00 fee. They are advertising this as the valley’s largest outdoor garage sale, helping those HOA’s (Homeowner Associations) that do not allow garage sales in their developments. They will be selling … well, it’s a garage sale! You know what they will be selling! There will be entertainment, music and food for everyone to enjoy. 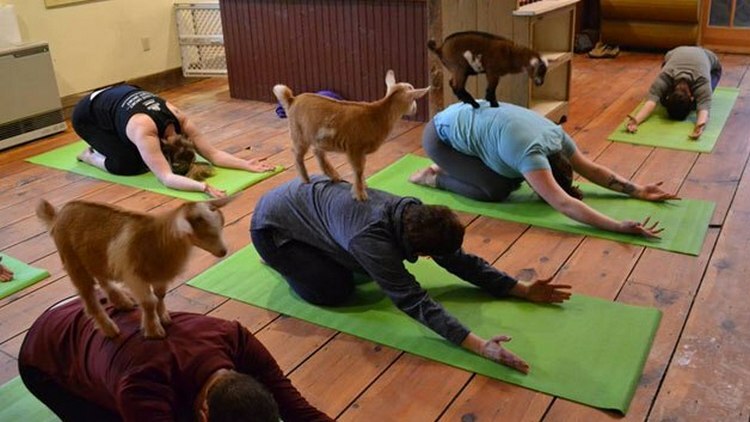 If you are in the area of Silverton Hotel at 5:30 p.m. they are presenting Goat Yoga on The Green. This is the latest craze to hit Las Vegas with morning and evening classes at various locations. This yoga class begins at 5:30 with a ticket price of $30 for the class, swag bag and digital photo. And, you get to have goats climbing on you while you do it! What fun is that? This event is open to all ages and they have a bonus for the ladies. Ladies drink free (21 and over) at the Shady Grove Lounge in the hotel until 8 p.m. They advise you to bring your own yoga mat since they have limited mats and you will be charged $3 to rent 1. I have an idea! Maybe you can buy 1 at the garage sale! It’s October, it’s Halloween! 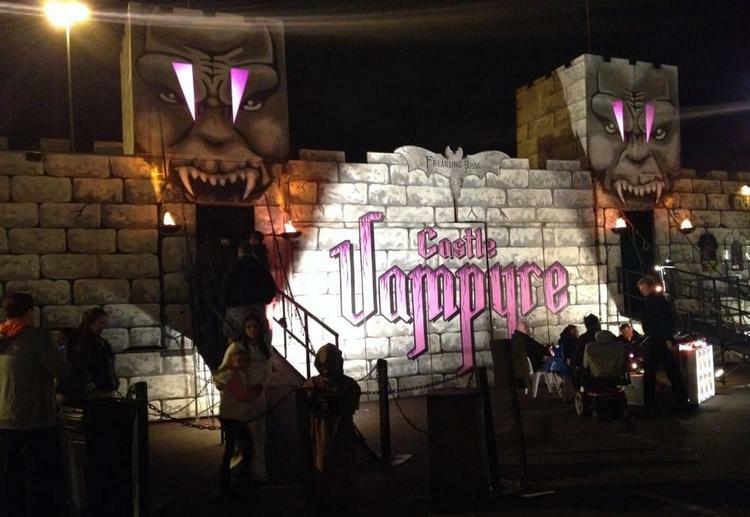 There are many haunted attractions you can visit throughout the month. HallOVeen at Opportunity Village is fun to experience and is open between October 13th and 31st for all ages. This is a tradition for Las Vegas locals. It is open at 5:30 p.m. Friday through Sunday the first 2 weekends of October and, then, open every day from October 19th through the 31st. Those aged 13 and older are charged $23.50 (includes fee) for admission and unlimited rides and attractions. Children aged 4 through 12 are $20.50 (includes fee) with those 3 and under free. There are a few exclusions to these prices, see website below for details. Opportunity Village has added a haunted house experience this year, for an additional entrance fee, in the Magical Forest called Vegas Fright Nights. Nightmare Manor and Clown Invasion in 3D are the attractions, so beware if you don’t like clowns since these are sinister beings residing in their funhouse. These added attractions are also open at 5:30 p.m. during the same dates listed above for HallOVeen. They advise the first hour is more tamped down for those seeking a less intense experience. The Vegas Fright Nights Haunted House Experience is $11.50 (includes fee) online which includes both the Nightmare Manor and Clown Invasion in 3D. The Vegas Fright Nights and HallOVeen Passport is $29.50 (includes fee) which gives you access to all of the above. There is also a Vegas Fright Nights and The Last Ride Combo Package for $14.50 (includes fee) which includes a simulated ride to the grave in a wooden casket and all the sights, smells and feelings of being dead and springing back to life! 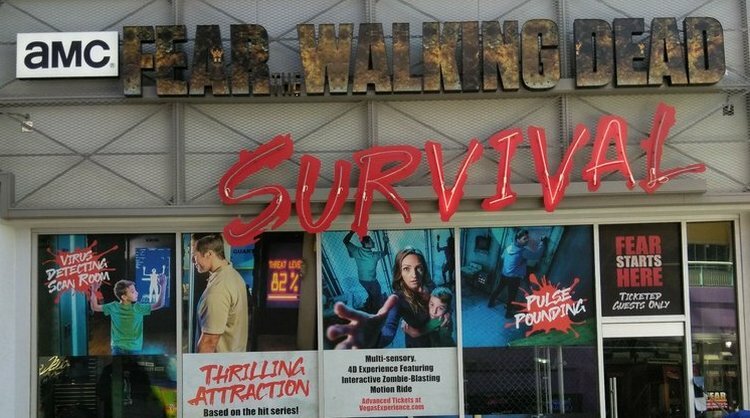 Fear the Walking Dead Survival is a newer event at the Fremont Street Experience, based on AMC’s TV series. It is an attraction with zones of multi-sensory and elaborate set design, high-tech motion simulators and immersive thrills for you to experience. It is partly an escape room, maze, interactive video game, and motion ride. They open daily beginning at 1 p.m. until midnight, except for Saturday when they are open until 1 a.m. They are located Downtown at 425 Fremont Street. Tickets are $27 for those over age 13 and $18 for ages 13 and under (fees included for both) for an 18 minute event. Be forewarned: they will weigh you as you go in because no one over 300 pounds is allowed inside. The Trilogy of Terror by Freakling Bros. is located west of the Strip (Flamingo & I-215) at 4245 S. Grand Canyon Dr. in the Target Shopping Center. $39 will get you into all 3 houses at a savings; or, you can do each house individually including Castle Vampyre ($15), Coven of 13 ($15) and Gates of Hell ($17). The Gates of Hell is the only R-rated haunt in Nevada and is interactive. Are you scared? Springs Preserve Haunted Harvest is a calmer, less nerve-shattering event that is open on weekends, beginning October 12th from 5 p.m. until 9 p.m. They will have fun for all ages, with normal trick or treating, food, entertainment, a petting zoo, a maze, and carnival games. General admission is $8 for non-members and the Boo-Town Train is an extra $5 per person. The newest deli in town is Clubhouse Deli at the Rampart Casino in Summerlin (221 No. Rampart Blvd). It is perfectly located adjacent to the recently updated Race & Sports Book. Diamond Jack loves delis, and this one meets all his standards since it is modeled after famous New York delis, complete with custom-marble cases and an exposed kitchen. The menu presents such deli staples as Matzo Ball soup, Hebrew National Foot Long Hot Dogs, Classic Reuben, potato salad, Lox and Bagel, Pastrami and Corned Beef sandwiches on rye, Beef Chili, and Onion Rings. Among deli desserts from Executive Pastry Chef Olivier Carlos are fruit tarts, New York-style cheesecakes, black and white cookies, and macaroons. One unique feature is the “Wall of Chill” — a selection of cold drinks, including Dr. Brown’s sodas and teas from The Republic of Tea. Clubhouse Deli is open daily. Learn more at clubhousedeli.com or call 702-869-7722. Next summer will be the 50th anniversary of the historical Woodstock Music & Art Fair. Diamond Jack was not there, or if he was he doesn’t remember. Those who do remember were introduced to many wonderful musical groups including the Latin-infused sounds of Santana. 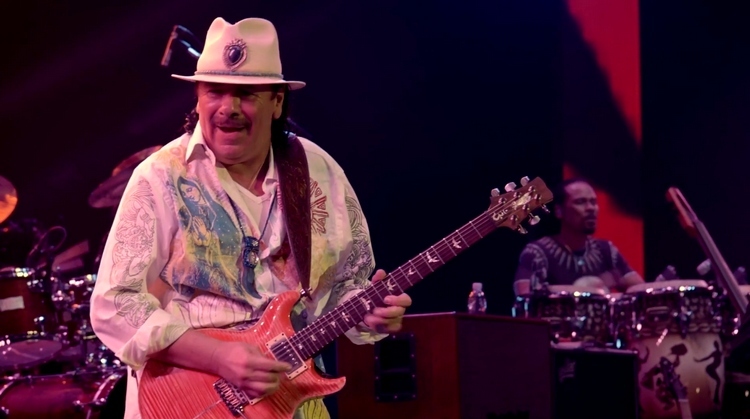 This fall, as Carlos Santana continues his residency at House of Blues at Mandalay Bay, the group is offering a celebratory ticket offer for locals in honor of Woodstock’s 49th anniversary. The offer is good on the remaining 2018 performance dates of “An Intimate Evening with Santana: Greatest Hits Live”: Oct. 31 and Nov. 2, 3-4, 7, 9-11. These general admission tickets are limited and available via House of Blues.com/Santana or at Ticketmaster.com. Tickets can also be purchased directly at the House of Blues Box Office with the code WOODSTOCK and valid Nevada ID. BERNADETTE: The act of torching a mortgage. BURGLARIZE: What a crook sees with. COUNTERFEITERS: Workers who put together kitchen cabinets. ECLIPSE: What an English barber does for a living. PARASITES: What you see from the top of the Eiffel Tower. Things I learned today: The word metonym is a hyponym of the word synonym. 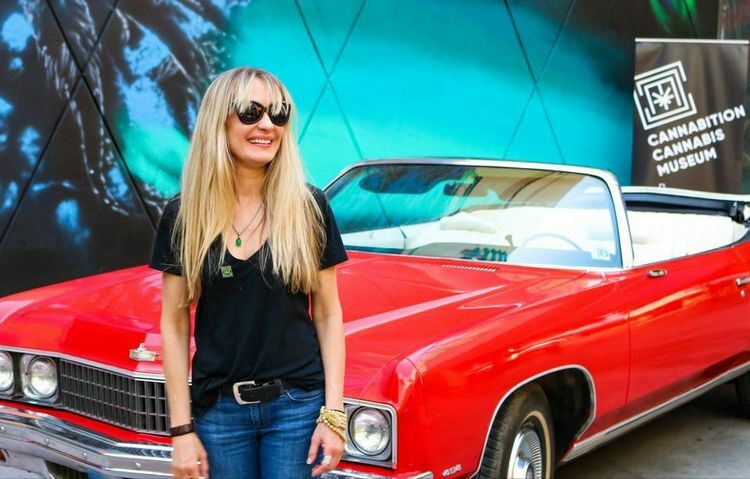 Las Vegas Mayor Carolyn G. Goodman presided over a recent “hemp-torching” ceremony in place of a traditional ribbon-cutting for the opening of Cannabition, an immersive cannabis museum opening at Neonopolis downtown. There will be entertaining, educational and photogenic exhibits exploring the historic, botanical, wellness and lifestyle aspects of cannabis. 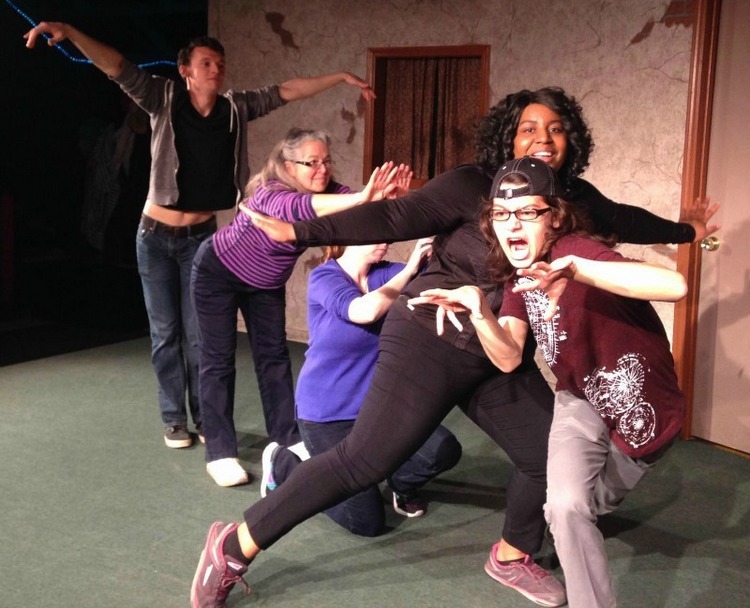 ComedySportz, the acclaimed improvisational comedy troupe featuring two teams of professional comedians competing for laughs, points and audience support, is premiering at The Space Saturdays, Oct. 6 and 20. Tickets are $15 and $12 for military, seniors and students. Shows are from 7 to 9 p.m.
Las Vegas is the 31st city to join the ComedySportz family, which was started in 1984. The Space at 3460 Cavaretta Court is just west of the Strip. The ComedySportz team is also offering eight-week classes to learn the basics of improv, focusing on characters, storytelling, teamwork and more from Sept. 18 to Nov. 7 for $250. Pop Up Pizza at the Plaza has revealed a refreshed menu and eatery, complete with a new Brooklyn-influenced mural by local mixed media artist, refurbished seating and aesthetics. The mural titled “The New Style,” is by Derek Douglas, professionally called SNIPT, a Las Vegas based-artist who has become best known for creating mixed media Pop Art mashups. The mural’s title references one of the artist’s favorite tracks from the Beastie Boys’ “Licensed To Ill” album. 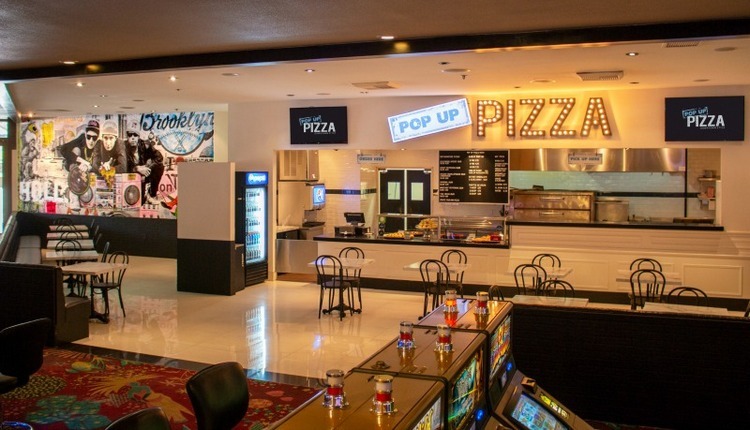 Located just off the casino floor, Pop Up Pizza opened six years ago as the first gourmet pizzeria downtown. The new pizza menu was created by Michael Vakneen, who will also be competing next month in the U.S. Caputo Cup national pizza competition, entering the new Old School Cheese pizza. Electra Cocktail Club opened at The Palazzo • The Venetian on the casino floor, completing The Venetian Cocktail Collective trinity, comprised of the romantic Rosina, the sophisticated Dorsey and now, the kinetic Electra, which is open nightly from 4 p.m. to 3 a.m. 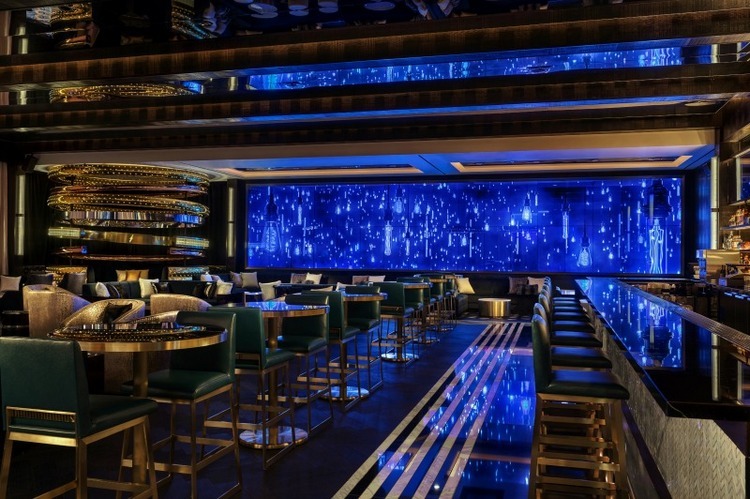 The décor meshes luxurious materials such as brass, granite, etched metals, custom wall coverings, a chandelier with more than 1,200 points of light, and deep teal color accents. A focal point is a digital display spanning 40 feet and featuring original art. This visual canvas with rotating content has Las Vegas’ highest resolution video display.